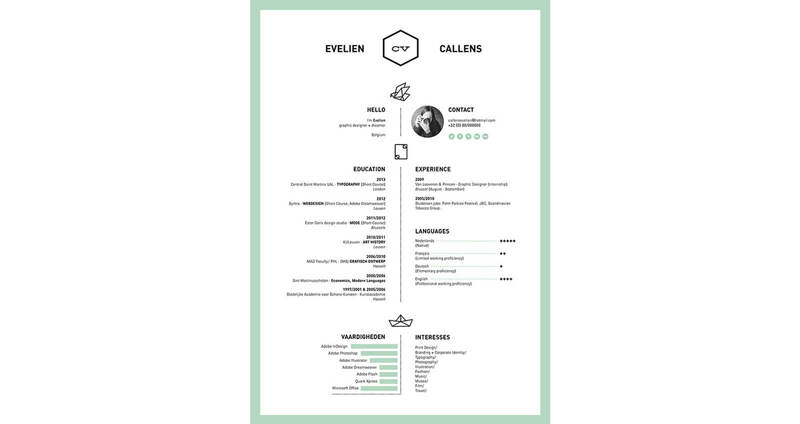 If you are applying for a new job for the first time in a decade, have had a longish break in your career or going into the workforce after a lifetime as an entrepreneur, it’s likely that the CV game has been left behind by technological, new media savvy innovations. So must your new resume now be a multimedia spectacle? Or hand delivered by a tuxedo-clad courier to your company of choice? Not quite. However, there are a couple of guidelines that will make your written application be decidedly modern. Here are our top six expert modern resume tips to catch up pace with a new career millennium. According to career coach Kylie Butler from Inspired Careers, visuals matter; a lot. Daggy fonts like Times New Roman are out and the more streamlined Calibri is in. “A font should be simple and not too decorative” she explains. 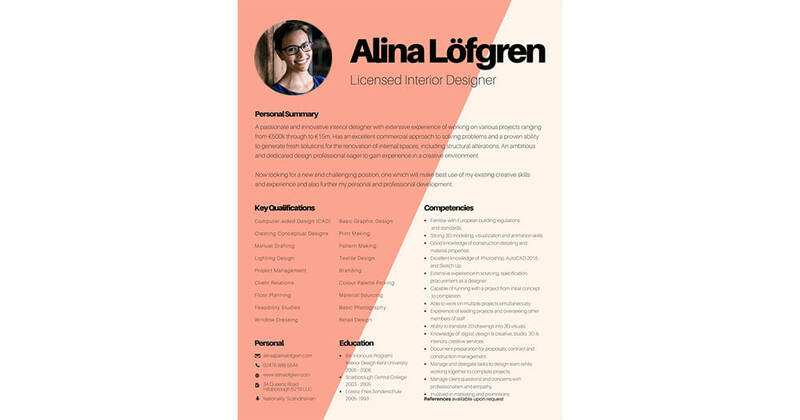 Butler also recommends getting your CV professionally formatted by a graphic designer “using a site like fiverr means this can be done really cheaply, for as little as $10”. The Muse website lists ‘utilised’, ‘assisted’, ’responsible for’, ‘something-ly’, ‘objective’ and ‘worked’ as the most overused and fluffy words in a CV. Employers don’t have time to read between the lines or be subjected to predictable stereotypes. Instead, make your skills stand out by using more proactive and simple terms then back up experience with examples, figures and statistics. Be as formal in language as your industry requires. Butler says it’s totally OK to be more colloquial or crafty with a creative or a social media CV, while conservative industries like legal require more options. And of course, spell check, spell check, spell check. If you have a professional LinkedIn page (and you must! ), a career-friendly blog or Facebook page, do include all of them in your CV. This provides your employer with extra collateral that can showcase your profile and is especially telling in creative industries. However, a link to your personal accounts is not recommended, so ensure your privacy settings are set to high at the commencement of any job search to avoid any unsavoury memories making their way to your dream employer’s desktop. If you have taken off 6 months to complete your MBA, had a baby or traveled South America, do mention it in writing. A simple line will do and can avoid awkward questions in the interview phase. Butler says that employers should not be contacting your contacts until the very last phase of the interview process and not without your written consent. This is why you can save space by leaving these details out of your CV during the initial job hunt phases. It’s no longer called an objective statement but rather, a summary statement, personal summary orprofessional profile. A solid overview paragraph that highlights your skills and focus, sets the tone for the rest of your information and your chance to shine. A good career coach or career mentor can help you finesse this positioning statement. 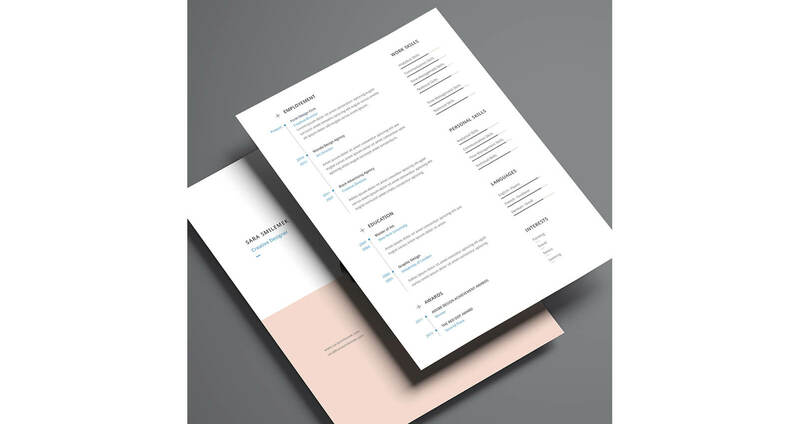 For the rest of your CV, use as many facts, figures and inclusions of key influencers and accounts to give your track record gravitas. As Butler says, unless that information is confidential, you should be as detailed as possible to show your recruiter who you’ve worked with and what exactly you’re capable of. If you modernise the appearance with some sharper formatting and lead with the most important information first, in as factual a way as possible, then your results will speak for themselves. Remember to include correct social media links and don’t be afraid to exhibit flair if your industry is creative. By following these guidelines you’ll be in the race with the best of them – now all you need is to ace the interview!